Featuring a royal blue velvet unstitched salwar-kameez. 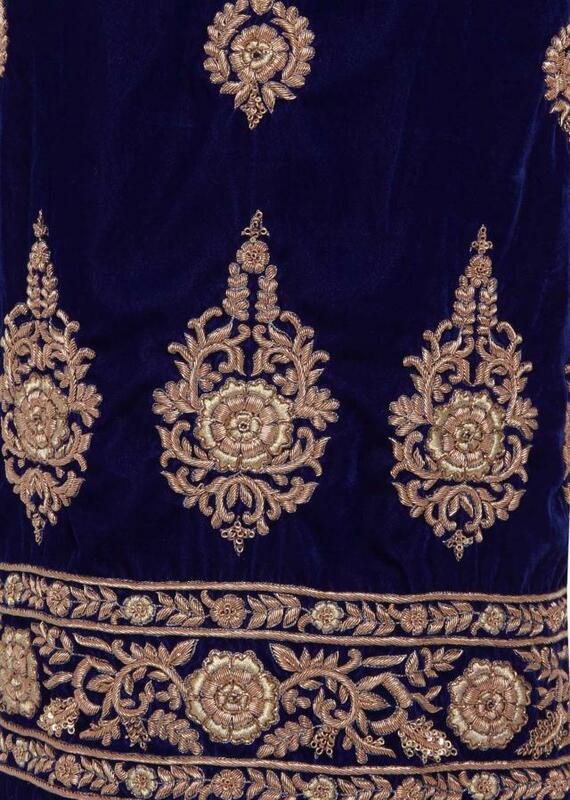 Embellished in gold zardosii work. 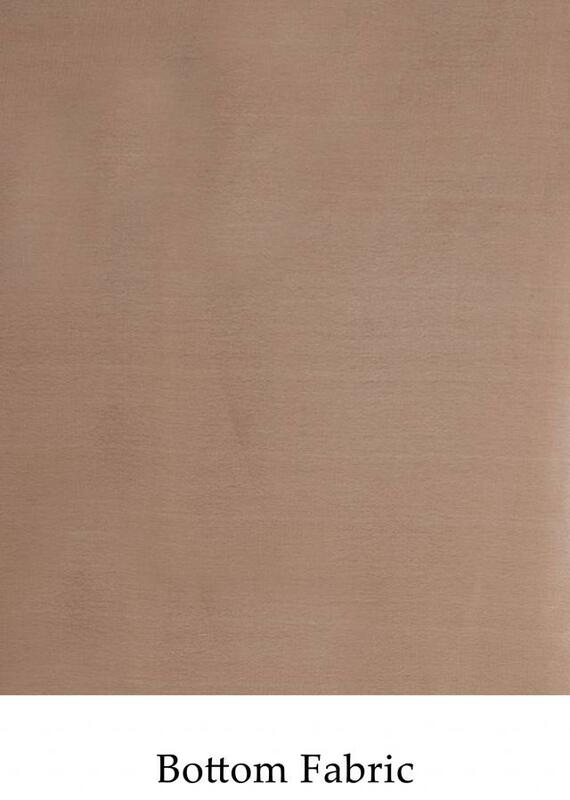 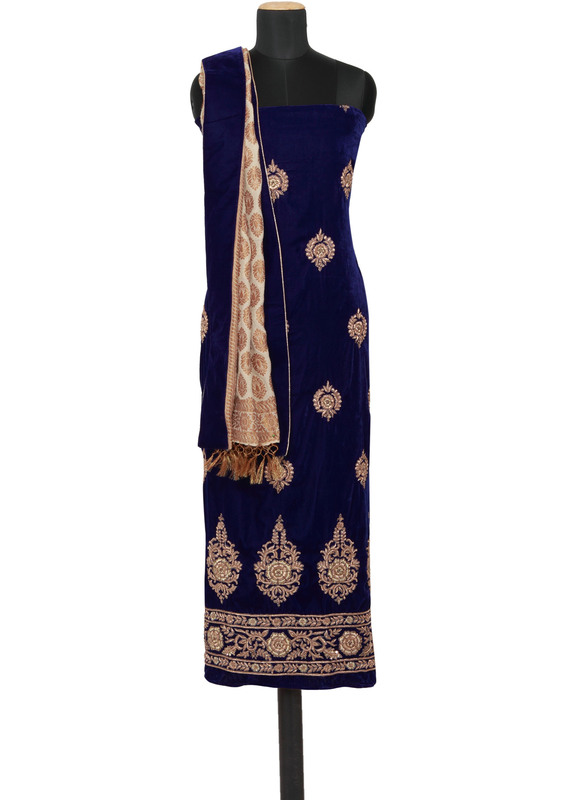 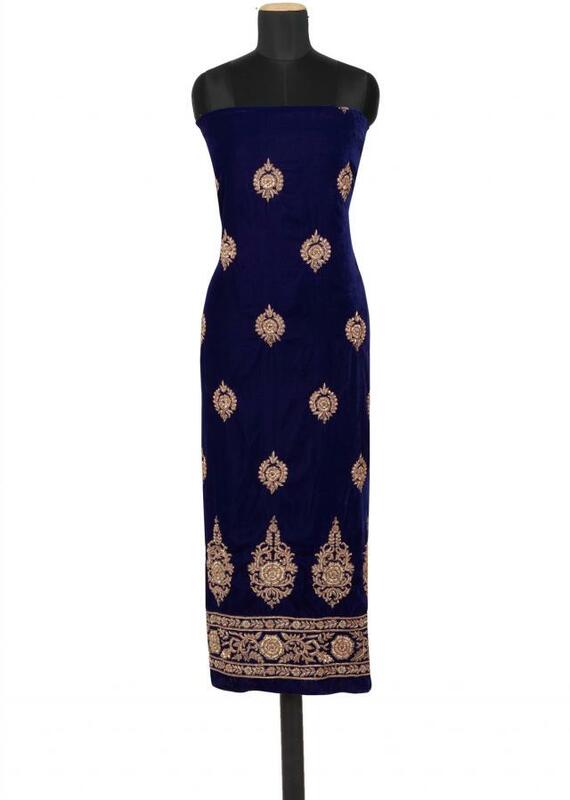 It comes with a beige crepe satin unstitched fabric and brocade dupatta with royal blue velvet border.